Health is your most important asset...protecting it comes naturally. Looking for a good Naturopathic Doctor? Rocky Mountain Natural Medicine in Fort Collins, Colorado offers specialty integrative medicine services. 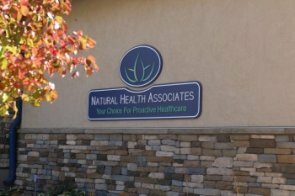 If you're looking for a more holistic, personalized approach from your healthcare provider, then you're looking for a Naturopathic Doctor (ND). Our doctors are trained as general practitioners and specialists in natural and functional medicine. Drs. Barker and German are a new breed of doctors who practice on the leading edge of a profound shift in how we look at, and treat disease. NDs are considered the nation's leading experts in functional medicine and natural health care. They offer the best of both worlds, blending the latest medical science with modern complementary & alternative medicine. They address the causes of your illness and treat them naturally, rather than just throwing drugs at your symptoms. Naturopathic medicine works with your body as an integrated whole to achieve what conventional medicine cannot. The current, mainstream model of medicine neglects the real causes of disease and illness; naturopathic and functional medicine gives you an opportunity to dramatically improve chronic problems that are typically poorly addressed by conventional medicine. Chances are, the answer to your health problems is NOT another prescription. Naturopathic doctors focus on treating the cause of illness and helping you to stay healthy, rather than masking the symptoms. Medicine is changing. People are seeking a more integrated approach to their healthcare needs. Simply taking prescription drugs alone doesn't make one healthy. This new approach to medicine has many terms, all of which convey a similar meaning. Functional medicine. Integrative medicine. Natural medicine. Lifestyle medicine. Holistic medicine. Alternative medicine. If you want a doctor who truly listens to you, and then works with you using non-toxic therapies, then this is the style of medicine for you. If you want to truly experience health care, come and see our doctors for a real solution to your health care needs. If you're looking for a more holistic, personalized approach from your healthcare provider, then we can help you. We serve the communities of Northern Colorado including Windsor, Evans, Loveland, Greeley and Wellington. 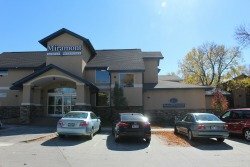 Our patients also come up from Longmont, Lafayette, Louisville, Boulder and Denver. We also serve the communities of Southern Wyoming including Cheyenne, Laramie, Rawlins and Casper. To schedule an appointment in Fort Collins with our doctors online now, Click here to book your appointment. We look forward to helping you get healthier, for real!